This is an overview of treatment options that have helped some of our members. Please remember that what works for one patient might not work for another. Sometimes it takes trial and error before finding what works best for you. Chiropractor– Chiropractors usually specialize in treating problems that affect the alignment of the muscles and bones of the body. Many chiropractors take a holistic approach to promoting wellness through exercise, nutrition, and lifestyle changes. Most believe that medicines and surgery should be treatments of last resort for many healthcare conditions. Some chiropractors receive extra training in physical rehabilitation and specific exercise therapy. They can be trained in, and recommend the use of nutritional analysis, herbal therapy, and acupuncture. Chiropractors must pass an exam to get licensed to practice. Other types of treatment that may be included or recommended in your treatment plan could be using heat or ice, ultrasound, strengthening exercises, biofeedback, or relaxation therapy. Some Chiropractic offices employ massage therapists as part of their holistic approach to helping the entire body. Some also chiropractors use X-rays to diagnose conditions. NUCCA Chiropractor–A small subgroup of chiropractors certified in National Upper Cervical Chiropractic (NUCCA) techniques. The procedure employs precise measurements to determine a patient’s Atlas vertebra alignment The focus of the NUCCA work is on a small misalignment of the bone structure that connects the head and neck. 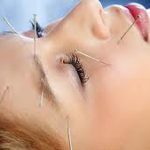 Acupuncture– Acupuncture is the insertion of very thin needles through your skin at key points on your body. Acupuncture is most commonly used to treat pain. It is a key component in traditional Chinese medicine. Acupuncture patients say their chronic pain episodes become less frequent and less intense over time, with regular, long-term sessions. Myofascial Massage Therapy– A form of soft tissue therapy focusing on releasing muscles that are tightened/ shortened and can cause pain and restriction of motion. Tightness of the tissues that restricts motion or pulls the body out of alignment, causing individuals to favor and overuse one hip or shoulder, for example. Pain in any part or parts of the body, including headache or back pain. A therapy session usually lasts about 30-50mins. A lot of times therapist will also help to teach you how to do some of these stretches/exercises at home. I personally have done this therapy and it has helped a great deal with my pain. Trigger Point Therapy–A trigger point is an extremely sensitive spot that is painful, sometimes you don’t know it’s painful until you or a therapist touch it. It is called a trigger point because it “triggers” a painful response. A trigger point is more than a tender spot in the muscle. It affects not only the muscle where the trigger point is located, but also causes “referred pain” in the surrounding tissue and even nerves. Trigger point therapy is used to treat painful trigger points that cause referred pain. Most treatment will take more than one session because the muscles did not become like this in one day so it will take time to undo this. If associated with a chronic problem you could need maintenance therapy. This is just an overview of the treatments we have heard about from TMD patients. We encourage you to do some research, and talk with your doctors to see if these options might work for you. Kristen is our best answerer of questions and administrator of all things TMJ Hope. She lives in Germany with her husband and two amazing children.